It’s estimated that one in 68 children has an autism spectrum disorder. Many of them don’t have access to the type of medical testing and biomedical treatments that can help them recover. That’s why Dr. Lynne R. Mielke and Sandi Kreizenbeck, DNP, at Optimal Health Spectrums in Pleasanton, California, operate a clinic dedicated to using integrative medicine to help special needs children recover to the fullest extent possible. Please don’t hesitate to contact the office for an appointment. You and your child will receive understanding care and treatments that target underlying problems such as nutritional deficits, food allergies, and heavy metal toxicity. Autism embraces a diverse spectrum of individuals with the same challenges, but differing abilities. Some don’t speak, struggle to accomplish simple daily activities like eating or putting on a shirt, and need constant support. Others are highly verbal and may struggle with daily activities, but eventually become self-sufficient or only need occasional support for specific tasks. When a child doesn’t understand nonverbal communication, metaphors, or humor -- and they can’t properly communicate their confusion or misunderstanding -- they develop significant frustration, fear, and anxiety. Our practitioners both have affected children and truly understand what you are going through. How do we help people with autism? We take an individualized and comprehensive approach, which begins with a complete medical history and physical examination. Specialized tests are ordered to uncover issues such as nutritional deficiencies, environmental toxins, food allergies and intolerances, infections, and other underlying health conditions, such as chronic inflammation and autoimmunity. Many of the lab tests we order are so specialized that samples of blood, urine, stool, or hair are sent to labs around the United States. We ensure the most accurate treatment by only using labs with expertise in performing the specific tests. When all the tests are complete and the results evaluated, an individualized treatment plan is created that may include dietary changes, supplements, gut-healing protocols, immune support, detoxification, and treatment of underlying infections or health conditions. What biomedical services are available? Optimal Health Spectrums offers one of the largest selections of evidence-based biomedical treatment options available in the Bay Area. Treatment is provided by the caring, capable, and extensively-trained hands of Dr. Mielke and Nurse Practitioner Sandi. 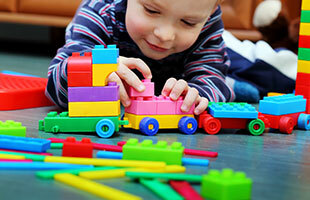 Click here to learn more about Autism Spectrum Disorders.